All led by trained and experienced coaches and instructors, all for FREE – including loaner bikes when needed! 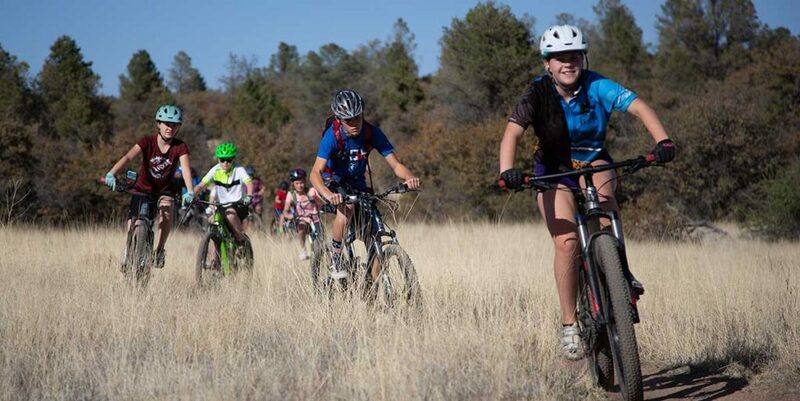 Young mountain bike riders who are currently in 5th to 12th grade. Consent Form: All youth riders must submit a parent or guardian-signed consent and liability release form before participating in the program/rides. You may download the consent form in advance and bring the completed form to your first ride or show up 5 minutes early to complete a waiver onsite. Equipment: All riders will need to bring a helmet, water and a way to carry it, and clothing appropriate for the weather. Each rider should either bring their own mountain bike suitable for riding easy to moderate trails or arrange for a loaner bike from PMBA (limited availability, please use the sign-up form below to inquire). PMBA membership is greatly appreciated, but not required. Parents and other adults are encouraged to join in, but it is not required for a child to participate.